Lt. Gov. Gavin Newsom was endorsed for governor by the National Union of Healthcare Workers Sunday after expressing his unequivocal support for a single-payer health care system that would insure all Californians. The endorsement vote followed a forum at the Sheraton Park Hotel in Anaheim involving all four major Democratic gubernatorial candidates. After no candidate received a majority of the vote from 350 elected NUHW stewards, a second round of voting was held among the top two finishers, Newsom and former State Superintendent of Public Instruction Delaine Eastin. 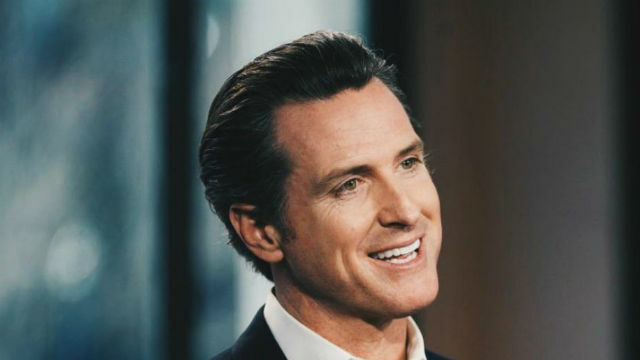 Newsom received 53 percent of the vote in the second round, according to Justin DeFreitas, the union’s communications director. “Honored to have your support as we take on the fight for universal healthcare statewide!” Newsom tweeted. The endorsement was Newsom’s second from a union this weekend. He was endorsed Saturday by the California Teachers Association in a vote of its State Council at its quarterly meeting at the Westin Bonaventure Hotel in downtown Los Angeles. Newsom added that California could afford a single-payer system in large measure by reallocating funds already spent on health care. State Treasurer John Chiang and former Los Angeles Mayor Antonio Villaraigosa also participated in the forum. NUHW members reviewed information about the candidates before the forum, including questionnaires and position papers where they presented their views on key issues facing California. The union also provided questionnaires to the leading Republican candidates — Rancho Santa Fe venture capitalist John Cox and Huntington Beach Assemblyman Travis Allen — but they did not respond and were not invited to Sunday’s forum, DeFreitas said. Newsom “believes in the mission of providing a quality, well-rounded education to all students and that the true objective of public education isn’t about picking winners and losers, it’s about ensuring that every child can succeed,” Heins said.